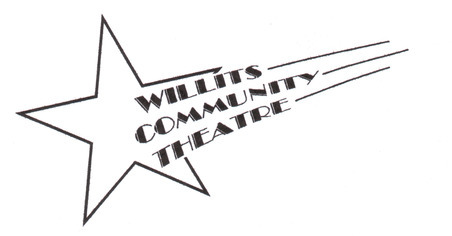 Willits Community Theatre is pleased to offer an opportunity to those who would like to direct full-length plays of their own choice. Each interested director is asked to select and submit three plays that they are excited to direct. The Artistic Direction Committee (“ADC”) will review all proposals, and from among the collection of plays submitted, choose the five plays that will constitute Willits Community Theatre’s 2020 Main Stage season. The ADC will notify you on or before June 10th if one of your plays is selected. To ensure that we create a season that includes a good mix of comedy, drama, etc., each interested director is asked to select plays from different genres. The ADC intends to present a season of plays to the board that includes both well-known, popular plays as well as at least one avant-garde play per season. If you could use some help getting the creative juices flowing, we have a list of plays that we would like to see produced and would be happy to share that with you. WCT also has a library of scripts, and you are welcome to browse and borrow from our library. Please contact Mary Burns at 354-3294 or (mcburns1955@hotmail.com) for a copy of the list or to make arrangements to visit the library. No later than 5PM on Friday, March 1, 2019. Please also indicate if there is any time of year you will NOT be available to direct this play. i. If you do not have a preference, please indicate this as well. Comedy, farce, drama, mystery, satire, old chestnut, melodrama, tragedy, historical, etc. Please keep in mind that actors of all ages, young and old, are available. Please indicate your vision for each play. If you think there might be challenges staging the play, please indicate this. The ADC will choose their season based on the collection of all plays submitted. The ADC plans to let the directors know the choices of the plays by June 10th, and to announce theseason formally to the public before the end of August. Your talents are in demand at the Willits Community Theatre – come to our auditions and be part of a show. All abilities, talents, and skills are needed. If interested in auditioning for an upcoming show, please use our Contact Form to let us know, and we’ll send you the necessary information.